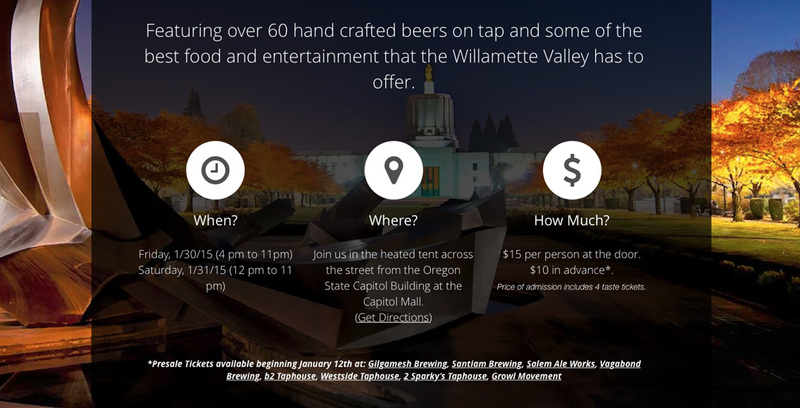 In 2014, the Hoopla Association came to us about a new event that they wanted to promote called the Salem Winter Brewfest. Because the event was new, the amount of content was not as extensive to warrant a multi-page site. 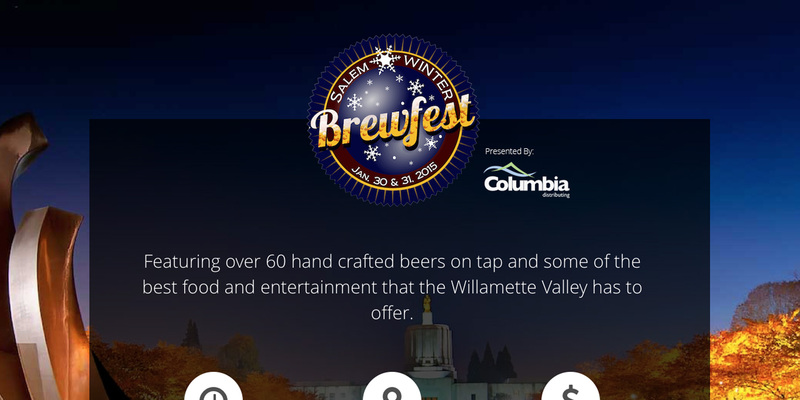 So we decided to make single-page site that highlighted the beers and the most important information about the event. After organizing all of the content that they wanted on the site, we figured out that a single-page design would work best. A local photographer provided us with a beautiful image that we decided to keep as the background and let the content float above the image as the visitor scrolls up and down on the page. 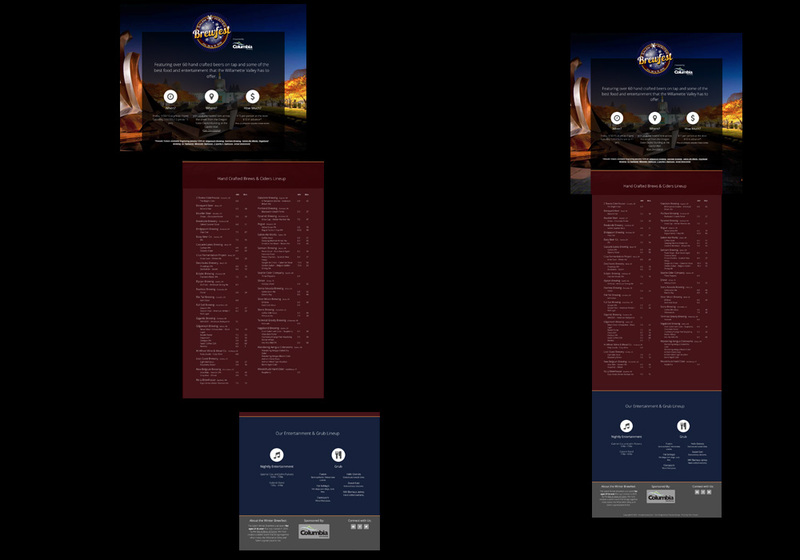 Visitors coming to the site want to know the specific details of the event and we put that front and center at the top of the site along with links to the businesses that were selling the tickets. 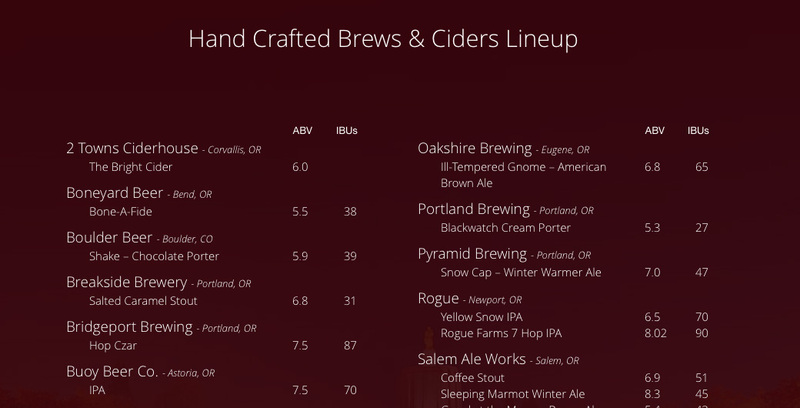 The highlight of the event are the brews on tap. 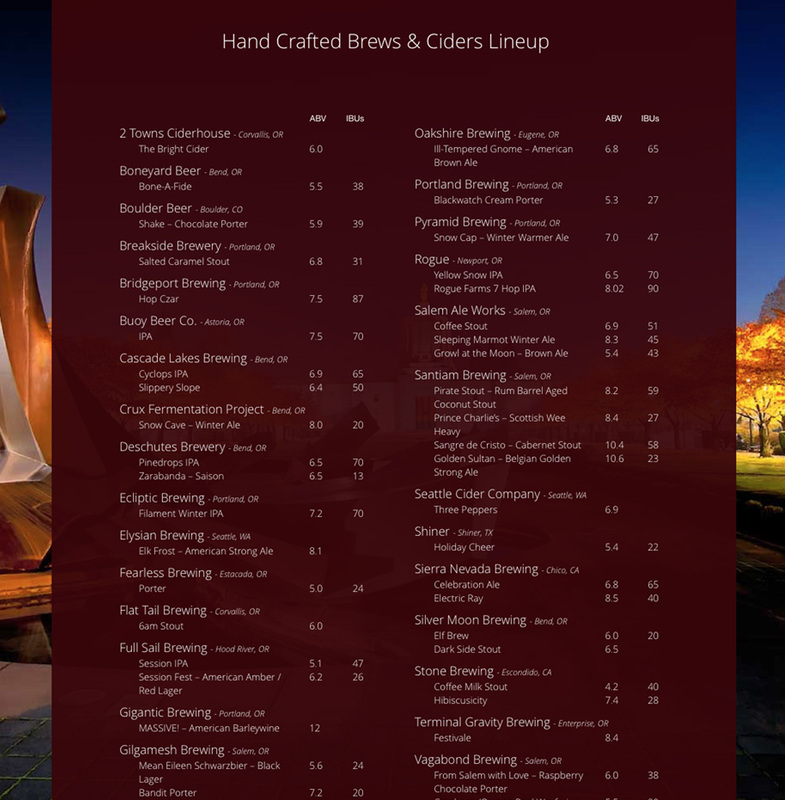 So we decided to make a custom section that lists all of the brews that are featured at the event. By creating this custom section, we are able to easily update in a minutes notice with ease.